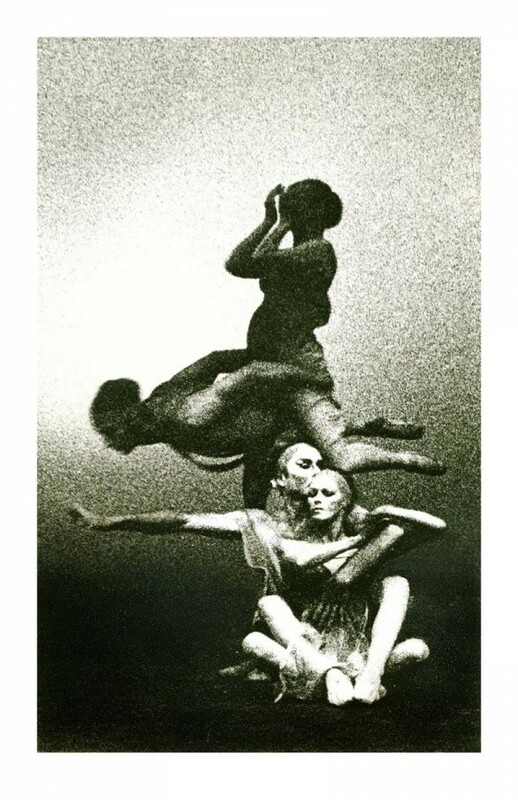 An Image conjuring the presence of mystery in Archaic Intelligence opens a case for new evaluations of so called primitive pre=history today, unexpectedly evoked by subtext in a dance photo from 1971. A 35mm negative is lost in a dance studio arson fire but not before it appears full page in Dance Magazine and continues to capture attention. The image begins to take on history of its own. The dancers portrayed are David and Helen Adhar. Egyptian born David appeared in De Milles films and Helen was a standin partner for Astaire. Both dancing difficult roles in their sixties. The choreography wins a Drama Critics Circle Award in Hollywood and becomes a life size signature icon for Gene Marinaccio, genius master of The Dance of great influence to many dancers. The photograph resonates, and lives. This is what I mean by Performative.